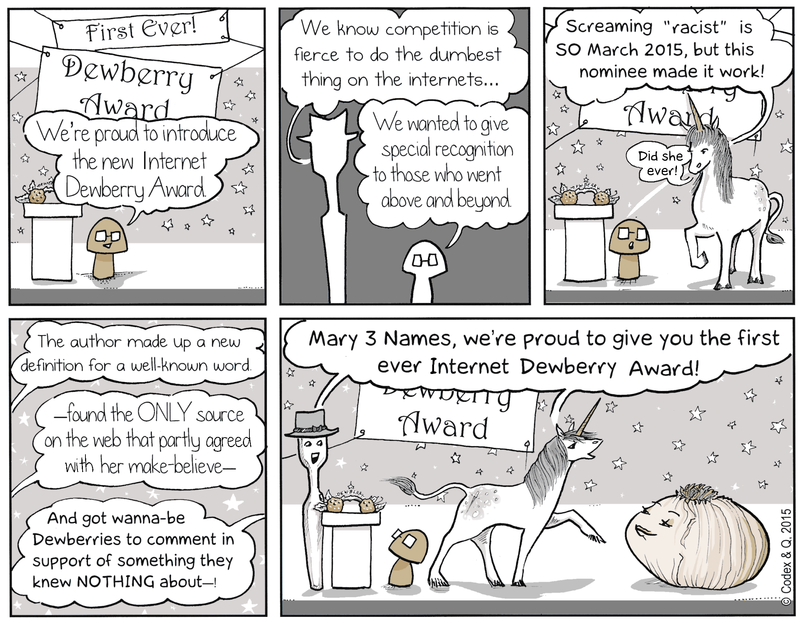 Dreaming of winning an Internet Dewberry Award of your own–? The competition is stiff. No harm in trying though, but your odds increase if you turn off your brain before hopping onto the internet. Chicom could only be considered derogatory if you don’t like commies. I disagree. Chicom could also be considered derogatory if you are constantly on the prowl for something to be offended at. Of course, so could then ‘jelly’, ‘pizza’ and ‘dewberry.’ Mental Note: Do not reply to commenters before breakfast. How will you know when I’ve had breakfast?